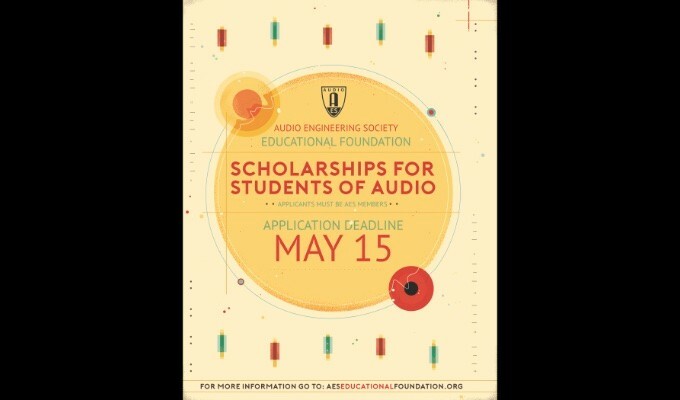 The AES Historical Committee is an international forum open to all who wish to investigate and learn about the achievements of those pioneers whose innovative ideas and inventions have contributed to audio's rich past. Dedicated to the preservation of over a century of audio history, the Committee is developing a broad-based history of audio engineering and the audio industry. AES membership is encouraged but not required. There is a Table of Contents (below) to help you find topics of interest to you. 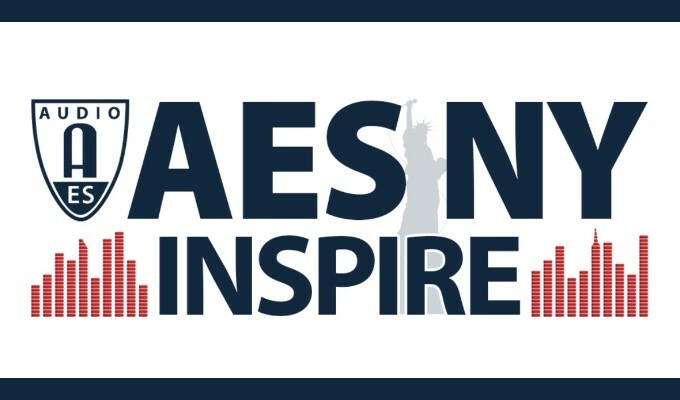 If you have questions about the history of audio engineering, search this site or its links or for patents from all countries; check out the Audio Engineering History and History of the AES. Join our E-mail reflector and post a historical question to it -- many of the people who made that history are here, and can answer your questions. We would be glad to have you volunteer to help us with our projects -- AES membership is encouraged but not required. This Site and Its Links -- Use the Search Box at the top of this page. Author's Affiliation Index of AES Publications: Know the author's company but not the author's name? Look here, in the AES E-Library. Click "Advanced", go down to "Author's Affiliation", enter author's company name, click "search", and you'll get a list of all the papers by authors from that company. Dr Steven Schoenherr's "Recording Technology History"
Do you need help preserving programs on obsolete audio media? Click here for links to sites with preservation information and techniques. Exhibits, talks, presentations, etc at the AES Conventions. Agendas for Committee meetings: What's planned for the meetings. Reports of Committee activities for the previous half year. Audio Patents Project from 2007 to 2017, a project to improve access to the patent literature. Historical Issues of the AES Journal, The contents pages for "The Phonograph and Sound Recording After One-Hundred Years" (1977-10) and "The AES: 50 Years of Contributions to Audio Engineering" (1998-01). History of Audio Engineering as Told Thru the AES Journal: The "non-technical" part of the Journal that's not contained in the "Electronic Library"
Forensic Audio Engineering: The complete "Watergate" report, formally called "The EOB Tape of June 20, 1972: Report on a Technical Investigation Conducted for the U.S. District Court for the District of Columbia, by the Advisory Panel on White House Tapes May 31, 1974", that is the basis for much of present-day forensic audio engineering. Recording Studios, A Thirty-five Year History and Evolution (1980) by "Bill" Putnam. Standardization Activity of the AES (1982) by Langdon, Queen, McKnight, and Campbell -- the History Before 1982. One of the best histories of magnetic recording is here. "Thank you for taking over the hosting of this website. I started the Recording Technology History site in Dec. 1994 at the University of San Diego when the Department of History went online. At that time, there were only 2 other history departments in the world listed in the Yahoo index of History Institutes (Saskatchewan and Rochester). With the help of students, I integrated web pages into my history classes and found the web to be useful in presenting primary documents, both text and audiovisual. I also used the web pages to publish my research on Bing Crosby, William Randolph Hearst, Charles Sumner Tainter, newsreels and film sound. Primary documents and images and recordings were published on the web site from Bell Labs, the Smithsonian National Museum of American History, and the Edison National Historic Site. The history department web site outgrew several servers, reaching a high point in May 2002 of 180,000 hits per day. I retired in 2007 after teaching 30 years at the University of San Diego, and am happy to pass on the Recording Technology History site to a new server at the AES." SIGSALY -- The Origins of DSP and Compression, by Jon D. Paul. Some pale gleams from the past; a historical perspective on early speech synthesis and scramblers, and the foundations of digital audio. Digital Audio Engineering Standardization History at the AES: The history of the development of the AES digital audio standards, as given in the AES Journal minutes and reports of the Digital Audio Standards and Technical Committees between 1977 and 1984, and in Bart Locanthi's 1986 summary of the Committees' work. "The Dawn of Commercial Digital Recording ", (published 2008 Spring, updated 2015 Fall) by Thomas Fine. Although wide-spread digital commercial recording is only about 30 years old, much mythology and many claims of "firsts" have sprung from the mists of time. This article seeks to set the record straight. Evolution of a Recording Curve, by R C Moyer (RCA), Audio Engineering, 1953 Jul, p 19+. "A discussion of the reasons for the existence of 'recording curves' and a presentation of the official specifications for the 'New Orthophonic' curve currently used for RCA Victor records and well on the way to universal adoption by all record manufacturers." This became the RIAA and IEC mechanical disk recording equalization. Looking for an historical issue of an audio-related magazine, including Audio, db, REP, Studio Sound, Western Electric catalogs, GR Experiminter, Bell Labs Record, RCA Review, and much, much more? See americanradiohistory . For the SMP(T)E, Journal see Motion Pictures (below). "Standard Tape Manual" compiled by Bob Morrison. Bob had a long and distinguished career in magnetic tape recording - from 1952 working at Ampex, then managing the Ampex Standard Tape Lab in the 1960s, to founding his own company, Standard Tape Laboratory (STL) in 1970. In 1978 while at STL, Bob compiled and self-published his "Standard Tape Manual -- A data book for the audio tape recordist, engineer, or designer", which is his telling of the theory and practice of magnetic recording as of 1978. We are now pleased to make a scan of this manual available online. 3M Tape types,; and the Index to, and scans of, all 46 issues of 3M "Sound Talk," etc. "Tape Degredation Factors and Challenges in Predcting Tape Life", a link to Richard Hess' ARSC Journal paper. Squealing tape, and what can and can't be done about it to play those tapes, including a new method. Studio microphones -- manuals, descriptions, pictures, schematics, sound samples, characteristics, notes and comments. A site by Prof. S. O. Coutant (retired), Performing and Communication Arts, Pasadena City College. Finding His Voice (1929). An animated cartoon synchronized to voice and sound. A Western Electric Sound System picture." An excellent layman's explanation of how sound on film works. The equipment shown is an accurate drawing of how motion picture sound equipment looked in the late 1920s. SMP(T)E Issues Available Online from Archive.org (this link also has instructions on using the Archive). Much of professional analog audio engineering was developed by or for the sound systems for motion pictures, and was published in the Journal of the Society of Motion (later: and Television) Engineers. The Journal of the Society of Motion Picture Engineers and its successor, Society of Motion Picture and Television Engineers, (J of SMPE, and J of SMPTE, respectively) from 1930 to 1954 are now available online. Audio Engineering in Motion Pictures, including EW Kellogg's 44-page review paper, with 406 (!) references, from the 1955 J SMPTE.
" [History of] Motion Picture Sound Recording", (1976) by John G Frayne. "Motion Picture Sound Engineering": Motion Picture Sound Engineering must be the "great-granddaddy" (1938) of all of the really technical books on audio engineering. See the rest of the introduction here, and read or download the whole book (40 MB PDF file) here. "Elements of Sound Recording" by Frayne and Wolf (1949) is the second historical sound-recording text. Early History of the Evolution of the Volume Indicator, (1984) by John K. Hilliard. An original contribution, finally published. A New Standard Volume Indicator and Reference Level, (1940) by Chinn, Gannett, and Morris. The classic IRE paper on the development of the "vu meter". Includes the history of volume indicators, the engineering factors in designing the meter, and the text of the original standard. Some Questions and Answers on the Standard Volume Indicator ("vu meter"), by Jay McKnight. A personal interpretation of the Chinn et al paper. "Measuring the Dynamics of a Standard Volume Indicator (SVI)", by Jay McKnight. A "How to do it" paper. ("In Memoriam"), Index and links to the Journal pages. John Herbert Orr, by David Morton.This historical study examines part of the career of Alabama native John Herbert Orr (1911...1983).Orr is perhaps best known for his OrRadio Industries, Incorporated, of Opelika, Alabama, a company that manufactured magnetic recording tape after World War 2. While a radio technician in Europe during the war, Orr studied advanced recording tape manufacturing methods developed by the Germans. When Orr returned to the United States, he used this knowledge to establish his own tape manufacturing company in eastern Alabama. Because Orr used this German technical knowledge and avoided most research and development costs, he was able to establish his manufacturing business with a minimum investment. Oral Interviews, including Oral Histories are available for purchase at the Historical Committee Web Store. Also see the "AES Celebrates 60th Anniversary". "Magnetic Recording: The Ups and Downs of a Pioneer, The Memoirs of Semi Joseph Begun" is again available at the AES Historical Store. We see a visit to the Ampex headquarters in Redwood City, with an explanation of audio and instrumentation recording. Brief interviews with Bob Sackman (Instrumentation Div. Manager), Walt Selsted (Engineering and Research Div Manager), Phil Gundy (Audio Div Manager), George Long (Ampex President), and Alex Poniatoff (Ampex Founder), then a demonstration of making a “Sound-on-sound” recording. Finally a review of manufacturing a Model 600 audio recorder: making heads (stacking laminations, lapping pole tips, winding the coil, assembling and testing the finished head), and making a wiring harness (with [the other] Charlie Anderson). Sel-Sync and the Octopus: How Came to be the First Recorder to Minimize Successive Copying in Overdubs" by Ross Snyder. Early in 1957 Ampex Corporation delivered the first multi-track professional audio recorder to be equipped with a scheme called Sel-Sync to the recording artist Les Paul. Paul nicknamed it The Octopus, for its eight channels. It has become something of a landmark in recording history, since it appears to have been the first tape recorder to make possible performances consisting of many parts - these to be recorded not in real time - now greatly reducing the compromise of quality that was formerly imposed by the necessity of extensive successive copying of copies. This article recalls the invention of Sel-Sync. "Ampex Factbook 1970" This Factbook gives details on the company from 1944 to 1969. It was published by Ampex Corporation in 1970, and tells about the Corporation, the Divisions and Subsidiaries, the Principal Technologies, Historical Highlights and Product Development, Financial Record, Personnel Growth, Management, Facilities, and Field Offices. It is a searchable PDF file. “3M – Magnetic Media Maker, a history of the first four decades (1944...1985)”, by Charles L Alden. See review for details. Another Company? If you have the history of another company, please tell us so we can post it. AES Celebrates 60th Anniversary presents oral history to complement the written history below in "How the AES Began" and "Histories of the Founding of the AES". How the Audio Engineering Society Began, and Volume 0 of the AES Journal -- 1947...1952. Letters in 1947 and 1948 to "Audio Engineering" (AE) magazine suggesting the formation of an Audio Engineering Society, plus an index of all of the AES papers published in AE ("Volume 0" of the Journal) before the Society started publishing its own Journal in 1953. With links to all of these AES papers. Histories of the Founding of the AES: Then-Executive-Director Don Plunket's tabulations of Officers and Governors, Conventions and Conferences, and Awards. AES Members, 1951 Found & scanned courtesy of Del Eilers. Joining the AES HC E-mail Reflector, Changing Your Email Address, , etc. Operating Structure: The Committee's charter. Guidelines Committee purpose, officers, membership requirements, and meetings. Officers and Project Leaders. Current Projects listed, with their leaders names and email address links.